One of the aspects that I love about the Knitting & Stitching Show but never talk about is the textile art. Every year, textile artists, patchwork quilters, embroiderers, and more get the opportunity to show off their skills and artwork. It is a part of the show that I love and am always inspired by. This year’s art was particularly gorgeous. So many of the artists who chose to exhibit their work were incredibly original and truly beautiful. 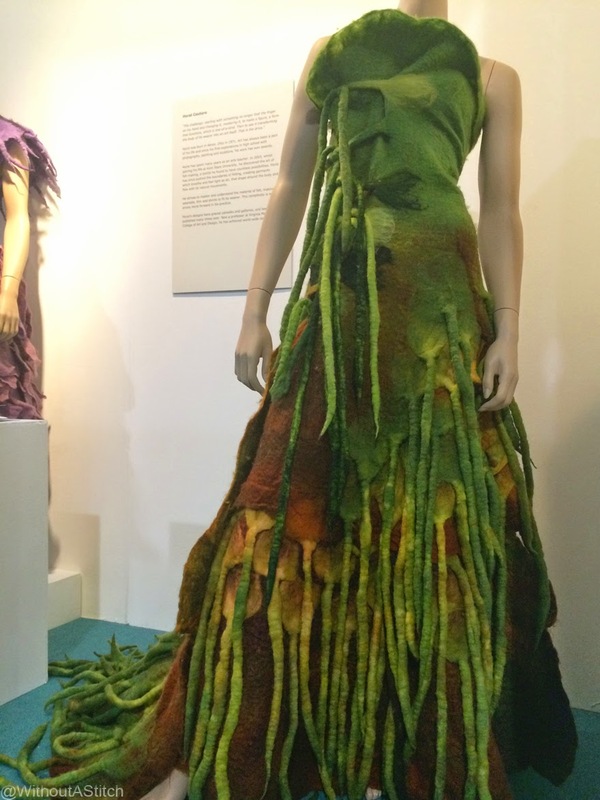 Horst Couture had a number of felted dresses on display, this being my favorite. It reminds me of moss and nature and also Cthulhu (and who doesn't love Cthulhu?). 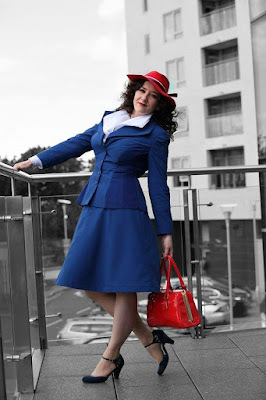 I'm sure I'd die of heatstroke, but would love the chance to wear such a piece to an event. Stephanie Metz was probably my favourite artist this year. 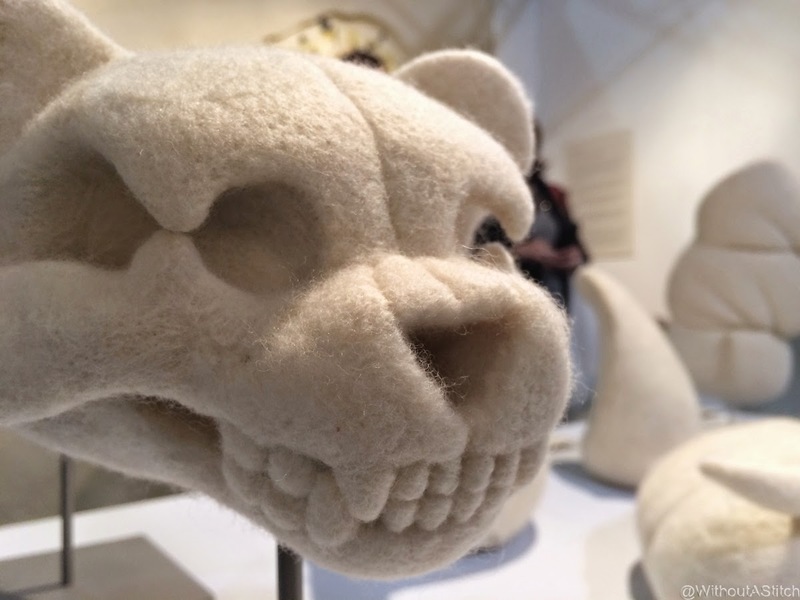 Her felted creations make me consider learning how to felt wool. Her bone creations were incredibly captivating. I couldn’t believe how real they looked. It was almost like being in a slightly fuzzy museum of history collection. 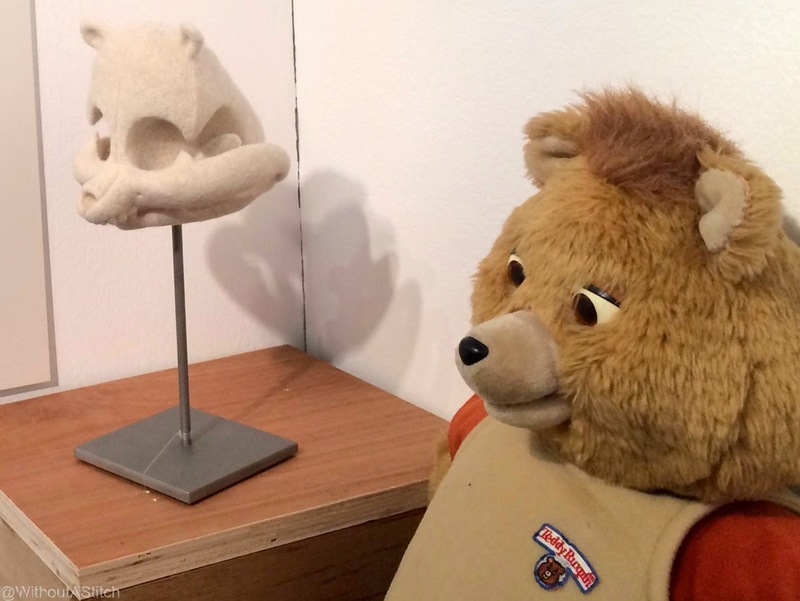 Her Teddy Ruxpin skull was especially charming and nostalgia-inducing. Her work was so incredible that I would seriously contemplate learning to felt. 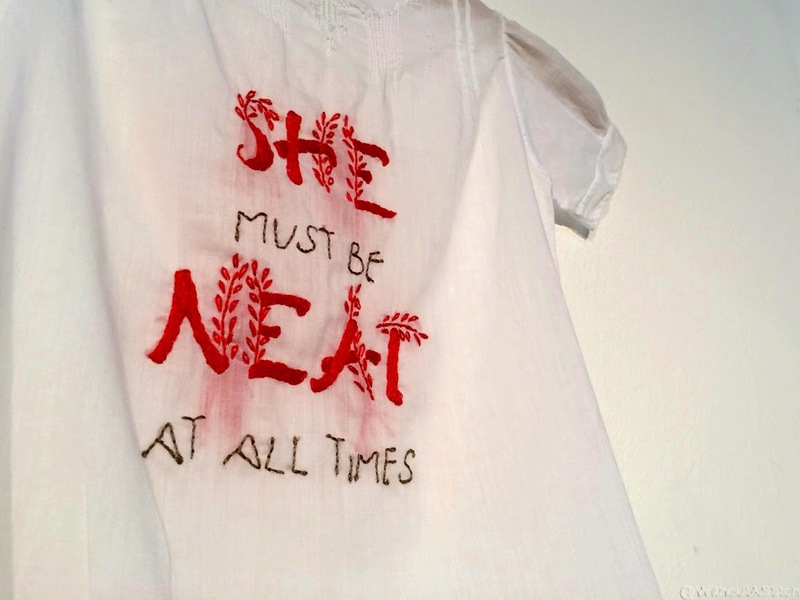 My embroidery love keeps going back to this piece: Dress Code by Rose Mary Cullen. 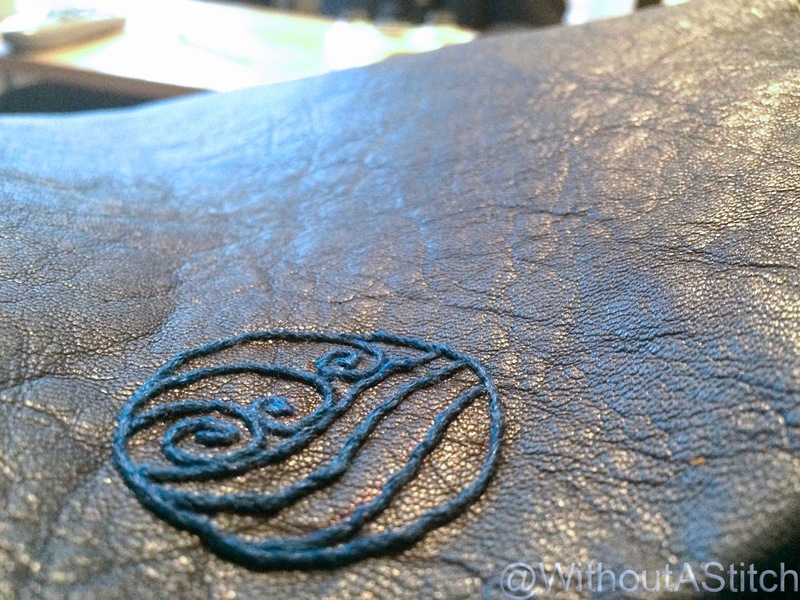 The details were lovely, especially the nearly hidden whitework. It was a shame the piece was so high on the wall as it was difficult to see the detailed collar, but I still loved it. Every year there is a quilting show put on by the Irish Patchwork Society. This year’s theme was “Explorations” and there were quite a few stunning examples. 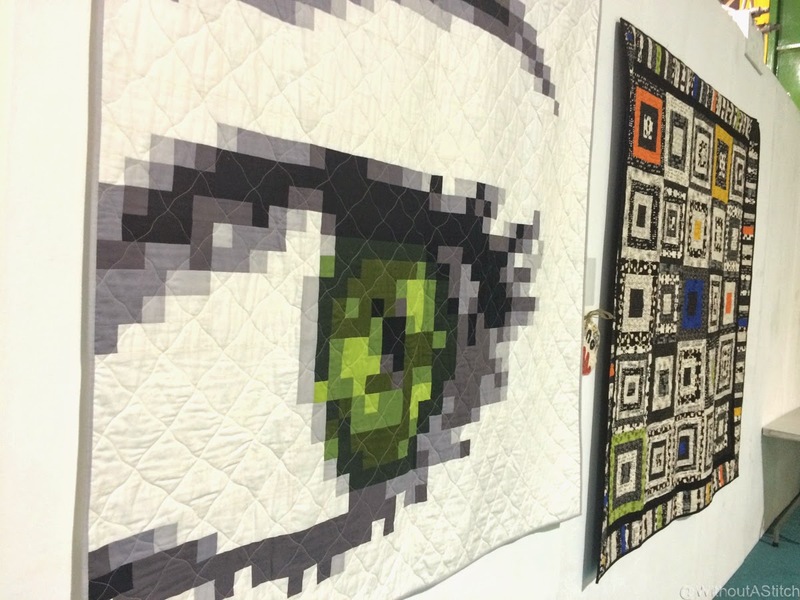 Tracy Wardle’s “Eye am a Quilter” was the first to catch my eye, even before I was looking at the exhibition. I’m a sucker for pixel art anyway, and quilting works beautifully to bring it to life. I like the modernity that mixing the two brings. My favourite quilt though was “A Blog” by Irene MacWilliam. Every day for just over 365 days, she made a square and it was all put together. It was fascinating to see what she chose each day. It reminded me of my 100 Happy Days. 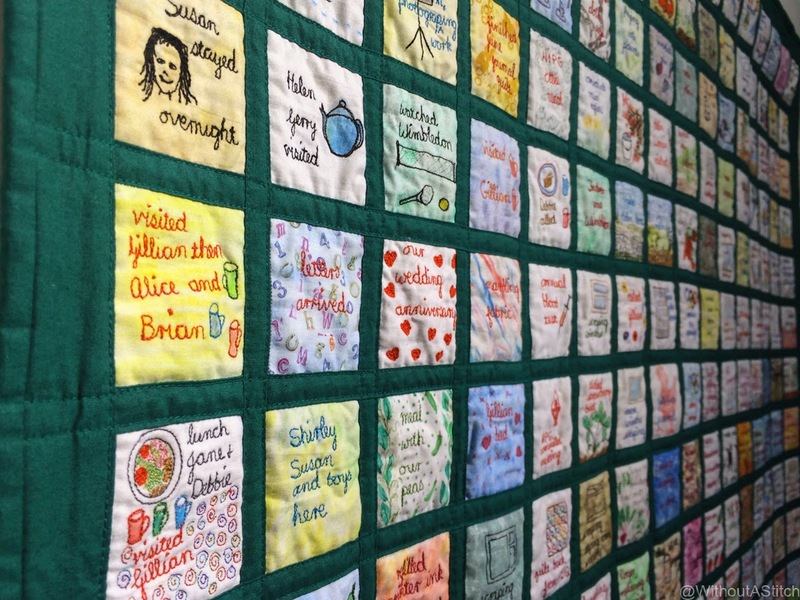 What makes the quilt says about as much about her as the things that didn’t make it. From happy moments to deaths, the artist will always have these memories to look back on. There were other exhibitions, other artists. There were a number whose talents just somehow wouldn’t translate to my camera on the day, like the 7 Deadly Sins by Rachel Olin, the painted fabric animals of Rebecca Connell and the pieces on display by the Silkfelt Collective. The Lockout 1913 quilt/embroidery collaborations bringing the graphic novel alive was very cool, both in idea and execution. And, of course, the Royal School of Needlework’s stand was stunning as ever, once again reminding me that I really need to find the time and money to work with them. I look forward to the new and inspiring things at next year’s show. As always, it will make my day.